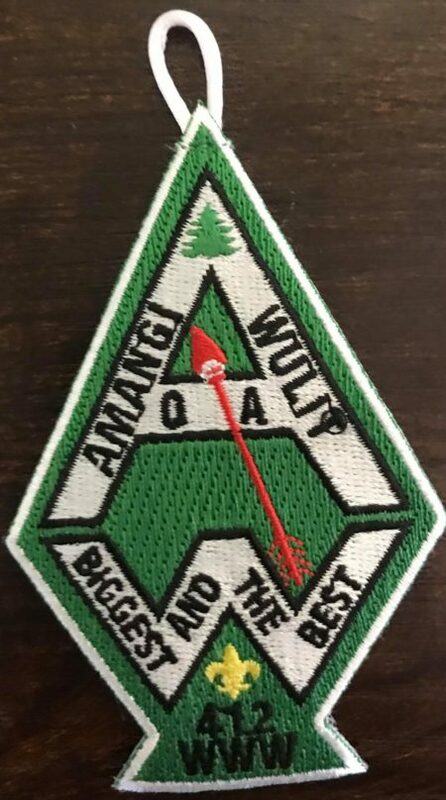 Brian Petrowski sends along an image of a new chapter issue from Buckskin Lodge #412’s Amangi Wullit Chapter. It is their second Arrowhead shaped patch and will be designated the A2 from that chapter. You can see the Amangi Wullit Chapter A1 here.